This page contains news for all pilots stationed at Grenchen Airport or who want to fly to Grenchen. Airport management recommends that all operating pilots save this page to their favourites. 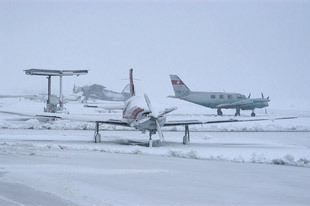 During the winter Grenchen Airport is open for night flights on Wednesdays until 20.00. Please contact the Airport authority before 16.00 for other times.